If you reside in Smyrna, we have Smyrna Locksmith on our team who can help you with any kind of lock emergency. Whether it is a car, home, or office, we are equipped to deal with any kind of emergency. All these things are some of our most prized possessions, and it’s essential that we secure them to the best of our ability. A well-secured place gives us peace of mind by ensuring the safety of our loved ones. With just one call to our Smyrna Locksmith, you can ensure the complete security of your home. From your windows and doors to garage and toolshed, we have a solution for every place that requires a lock. Our locksmiths in Smyrna are some of the best and most trusted people who will make sure that your problems are resolved and your requirements are met quickly. Our locksmiths are verified and have valid licenses for their work. our qualified Smyrna locksmith is a call away and also work during the night and on weekends to ensure your safety at all times. Our team at Cobb Parkway Locksmith stays ahead of the curve by constantly adding to our technical knowledge and our specialized tools. We also work with locks from the most trusted brands and deal with emergencies of any kind. If you are in Smyrna and have any kind of lock emergency, don’t hesitate to call us. We operate 24/7 and as soon as you give us a call, our team heads out to your location to help you. Whether it’s your home, office, in a parking lot, or any other place, we have you covered. As soon as our locksmiths in Smyrna arrive, they will take a look at the problem and solve it quickly to ensure your safety and comfort. Are you looking for locksmith company near you? Look no further! 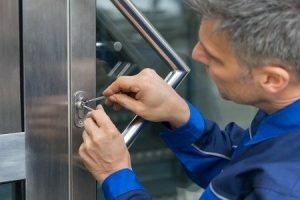 Cobb parkway Locksmith offers emergency residential and commercial locksmith, lockout service in Marietta and all surrounding cities in Georgia.